Alyssa D. Maley joined OSMC in May 2016 as physician assistant to Dr. Dan Redziniak and Dr. Ben Petre, orthopedic surgeons specializing in sports medicine. Alyssa attended the nation's first entry level Masters of Physician Assistant Program at Duquesne University in her hometown of Pittsburgh, Pennsylvania. Following her training, she relocated to Baltimore, Maryland and worked at University of Maryland for approximately 2 years. While on staff at UMD, she also assisted in surgery per diem at Saint Agnes Hospital. Since beginning her career, she has worked solely in orthopedics with a majority of her experience in the operating room. This has provided her with extensive knowledge of a variety of surgical techniques. 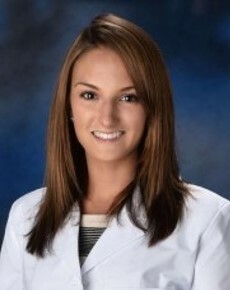 Alyssa is a member of the Physician Assistants in Orthopedic Surgery. Alyssa works closely with both Dr. Redziniak and Dr. Petre, she assists in the office with new patient consultations, pre and post operative evaluations and follow ups. Alyssa also administers various injections in office and assists during surgical cases. Alyssa currently sees patients in Annapolis, Bowie and Pasadena locations. Alyssa resides in Baltimore. She is an avid sports fan and enjoys outdoor activities including snow skiing, water skiing and paddle boarding.